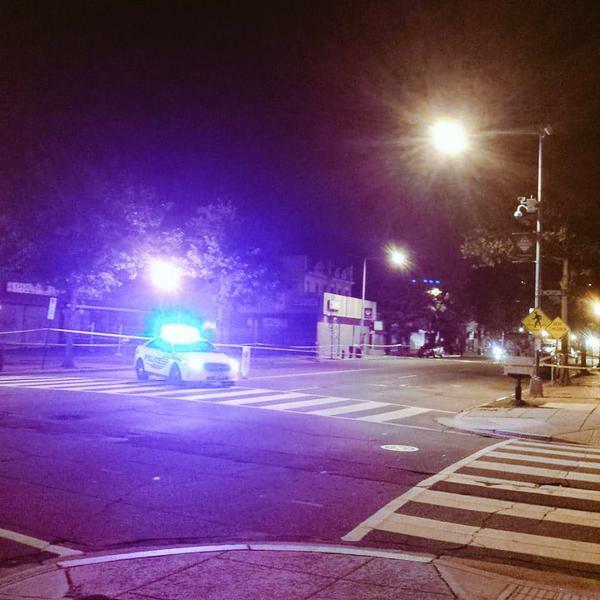 “Detectives from the Metropolitan Police Department’s Homicide Branch are investigating the homicide that occurred on Thursday, July 30, 2015, at approximately 9:25 pm, in the 3300 block of Georgia Avenue, NW. Members of the Third District responded for a call of a shooting. Upon their arrival, they located an adult male suffering from apparent gunshot wounds. The victim was transported to a local hospital where he succumbed to his injuries and was pronounced dead. The decedent’s remains were later transported to the Office of the Chief Medical Examiner pending an autopsy. “This is a terrible thing that happened in our community, despite all the additional attention and resources we’ve brought to this location over the past few weeks including more police presence in the immediate area. This increased visibility and deployment will continue. An investigation is ongoing. Anyone with information about the shootings is encouraged to contact MPD at (202) 727-9099. “In addition to increased police presence, we are working to address long-term public safety issues in the area. In our public safety walk at Georgia and Lamont last week we heard from many residents who were concerned about loitering, drinking and drug use in the area. In my conversations with area businesses, they share residents’ concerns. Many of them are in the process of implementing measures recommended by MPD – cameras, no loitering signs, and barring notices to prohibit specific individuals from being near their property. In addition, MPD made several arrests related to drug use and public drinking in the last week. “When I was an ANC, the Council attempted to pass anti-loitering laws. Unfortunately, there was no path for them, given the fact that the courts would strike them down. That said, MPD has the tools to address illegal activity such as drug use and public drinking without anti-loitering laws. “The other partner in this is the Department of Behavioral Health, who is working with us to address chronic alcoholism. We’ve had them pass through recently to offer services, which can take longer to have an impact but ultimately is more successful than simply asking people to move along. “In addition, the Neighborhood Development Company is leading a local task force on public safety focusing on the Georgia Ave and Lamont St block. This is a grassroots and collective approach for bringing together residents, businesses, property owners, and city representatives to help troubleshoot these issues and proactively improve neighborhood conditions. ANC Commissioners Bobby Holmes, Rashida Brown and Kent Boese have been active members of this task force. I am working in partnership with this group to coordinate on action steps from our recent public safety walk. I encourage you to join in that discussion. Please reach out to my office if you’d like more information. If you had $400k-$500k to buy an investment property – Where would you buy?